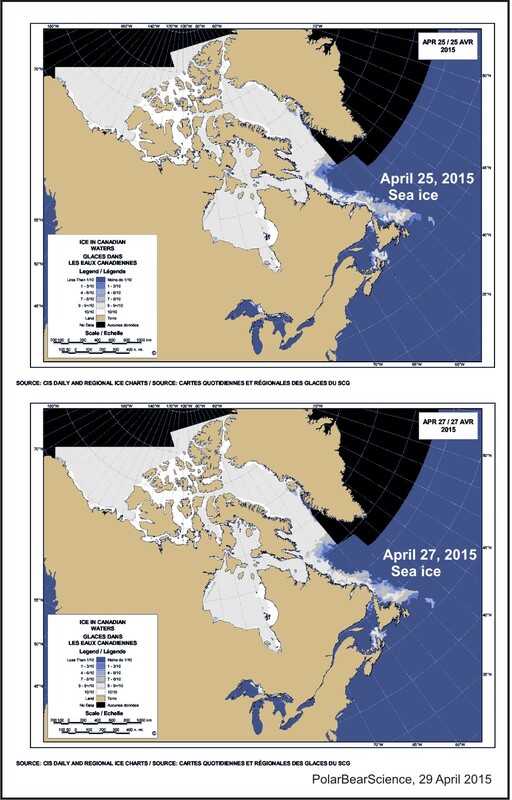 Locations of the April 2015 polar bear sightings. Click to enlarge. “Colleen Gray saw an unusual sight on Monday [April 27] when a polar bear strolled into her hometown of La Scie on the Baie Verte Peninsula. 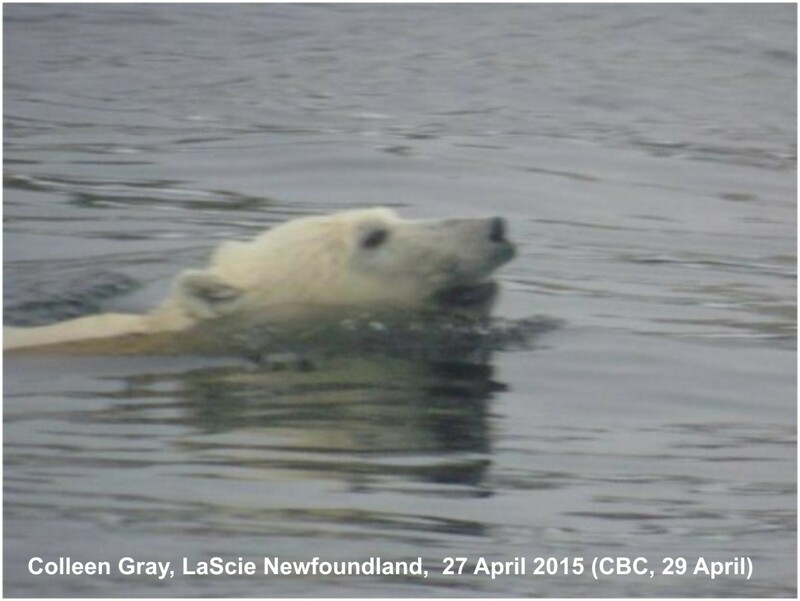 Colleen Gray posted several photos of the bear swimming on her Facebook page, reproduced in the CBC report, one included here (above). 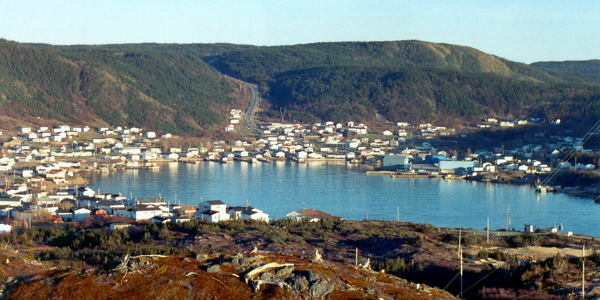 La Scie Newfoundland, from the town website. Photo from VOCM news report. 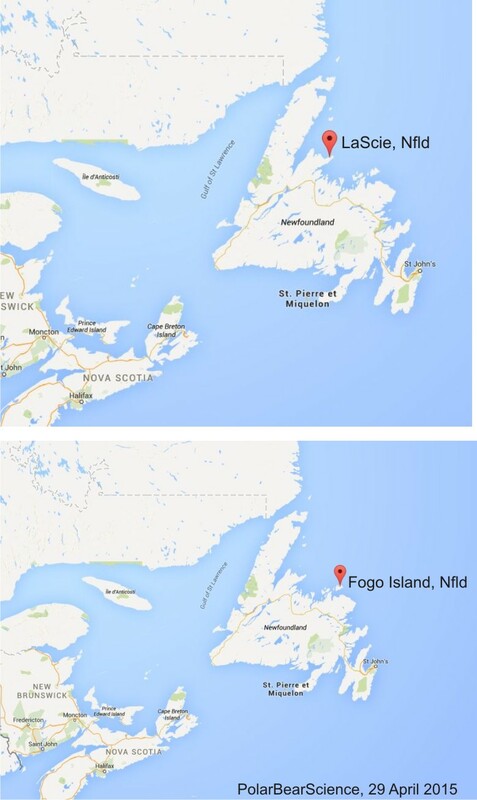 “Residents of Fogo Island are being made aware of an unexpected visitor in the area. 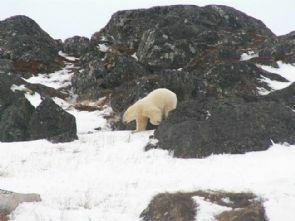 Some people on living on Fogo Island, off Newfoundland’s northeast coast, may be looking over their shoulders today after a polar bear was spotted lumbering around the community. “As we were going up the hill I noticed an animal on the road and I said, ‘Doreen, look at the big shaggy dog,’ and we were looking at it and as it got closer I said, ‘Doreen, my God, that’s a polar bear,'” said Waterman. The bear was walking ahead of the Waterman’s vehicle headed in the same direction, Waterman said, so he continued to slowly drive behind it at a distance. Fogo, Fogo Island, Newfoundland. From the town website. Click to enlarge. 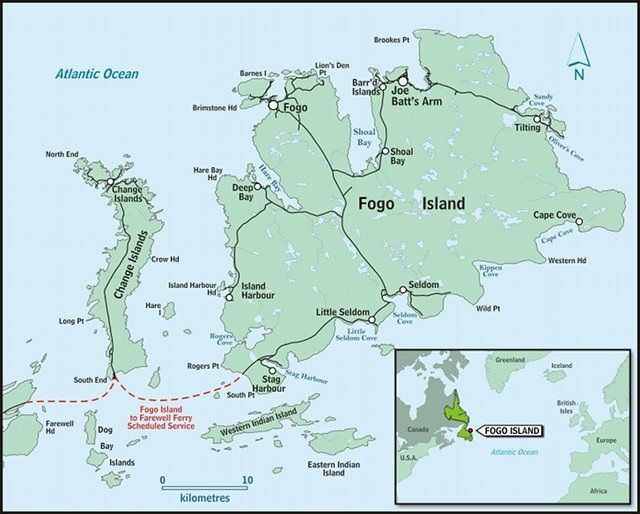 This entry was posted in Life History, Sea ice habitat and tagged Davis Strait, Fogo, Gray, La Scie, Labrador, Newfoundland, polar bear, sea ice, sightings, spring, swimming. Bookmark the permalink.